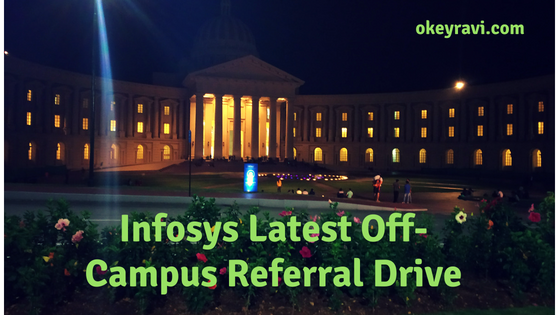 I am sharing my whole experience till now which i have gone through before moving to Infosys Bhubaneswar DC. It will be helpful for you, if you go through these amazing post before proceeding ahead. How I became an Infoscion? My System Engineer Journey before completion. Infosys System Engineer Interview Experience and test analysis. When I failed in the FA1! When it hurts a little! How Streams are allotted in Mysore training? See, this is common. 30-40% from your batch will not be able to clear either FA1 or FA2 in the first attempt. But, you don’t need to worry about anything. You will get sufficient time to overcome it and reappear for the exam. If you talk about my batch then I have joined on 7th May 2018 with my 597 other colleagues from the whole of India. But the time is going to be little tough for you. You will see your friends going ahead. They will get their stream, If this happens in generic. They will be release to any other DC, if this happens in Stream part. But, I will suggest you to be a little tough, Enjoy those periods to explore the campus. Utilize the world-class library. Go and chill around the places of Mysore. And beside all this study hard to pass in retest. Nobody has expected that I will go for a retest. There were many reasons for them to believe this. Neither I have thought that this is going to happen. Sometimes you do mistakes. I also did. but, best part is that I come again strongly. This is what you also have to do. But, at last, I am at Bhubaneswar DC and I am enjoying my job with my YouTube, Blogging and SEO business. Going for a retest will not hurt more. But there a awful and worse condition which will hurt you a little. I already have said that you will make a lot of friends there. There will be a situation after 2nd retest in Generic and Stream both. When some of your friends will have to leave the company. I was little lucky in this. Only two friend of mine have left. I am happy as well, because they are doing good in different fields. Especially, I want to mention one of my good friend from Andhra Pradesh “Sriniwas Karthik”, who have taught me – How to say I love you in Telugu? Hahaha. And you know, I always have applied that lesson on “Likita” from Andhra as well, who sat beside Sriniwas in generic. Lol!!! This was the first time when I heard people of India taking in different languages on the same platform. I have seen and admired the cultures of South India, which was also a great feel. I made friends who speak Tamil, Telugu, Malayalam, Marathi, Gadhwali (A local language spoken by people who live in Mountains, Especially in Uttarakhand, Himachal Pradesh and Some other North-East parts of India) and lot others. It will be a great experience for you when you interact with different cultured and different language speaker in a full day schedule. You don’t even know that when you join, who will the people in your neighborhood. This is something that will make you crazy over time. This is a very interesting part, Facilities at Infosys Mysore is awesome. You will enjoy a lot of facilities there which includes Gyming, Swimming, Bowling, Badminton, Table Tennis, Tennis, Football, Cricket, Aerobatics, Movies at Multiplex, Cycling, different types of events and many more. If you don’t know how to cycle then this will going to be little tough for you. You have to walk approx 2 Km per day to reach ECC to GEC. In your entire training, you will meet up to 20-25 educators (including co-educators also). Isn’t it great? obviously it is! Pratikkumar Sureshkumar Bulani, Pramod Edathil Vattekkat, and Ravi sir. These guys are awesome. You will enjoy your sessions with them if you got IVS as your stream. This is always a concern for every people. They always think, which Steam they will get? The Stream they will get will of their choice or not? Let me tell you one thing very clearly, Infosys training stream allotment is purely dependent on the requirements available on that particular time. 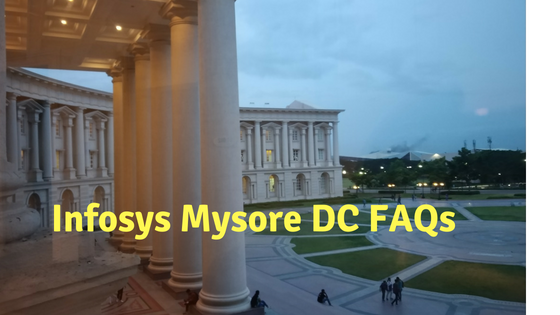 Requirements are sent by the Central bench of Infosys. 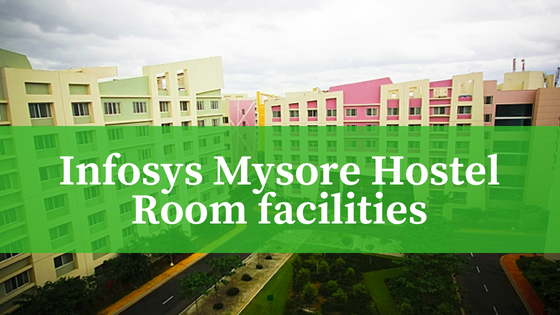 It is not something which is finalized in Infosys Mysore campus. When I failed for the first time, my friends who passed got JEE (Developer) and IVS-Java (Tester). When I failed for the second time, again my lucky friend who passed got OSS, JEE, IMS (Maintenance). And, when I finally tasted the generic pass. I got IVS using C# and .Net. IVS– It is termed as Infosys Validation Services in simple terms testing. it has also a lot of branches. Different languages are used. You might get Manual testing, Automation testing using tools like Selenium and UFT or a combination of both like manual and Automation which I got. So, Just focus on your training. It is on your luck that you will get your interested field or not. You know, I am a article writer. I have also written some stories and poems. So, basically, I am trying to say that there is a different side inside me. Which forces me to watch any kind of movies. My friends who woke up generally at 10 or 11 in the morning always have a concern with me. They are concerned with my habits during weekends. As I usually woken up around 7 or 7:30 which is not normal for them. But I have did this because I love to watch movies! Really, movies of any kind I love to watch once. I watch the movies with the writers perspective. So, the cast doesn’t matter for me, neither the story also. Because most of them only watch big movies which have good ratings. Most of the time I have watched the movie alone. And when I came back after movies then they asked gnerallyHow was the movie? If I say yes, It was good. they they decide to watch otherwise not. I would love to tell you that I am doing a lot of other good stuffs also beside my job. So, weekends are like bonus for me to work and complete the clients task and to regularize my own online work. So, weekends are generally a good working day for me which I have utilized for own work. See, Everybody have their own concerns and perspective. but setting up your priorities and perspective towards your future is very important. I hope this article has given you a rough idea of how System Engineer training goes at Mysore and how typical your life will be there? Good to read your experience at Infy, How you managed both training and blogging ? It all about managing time Himanshu. Now I am habitual to this. But yes, I am less in time always due to this. You should also create a blog. See How to start a website? Thank u for your reply…. Hi,I got ol from Infosys last month…..my doj is feb11…meanwhile I got lex materials…..it is very tough to follow and finish the assignment….is it usually or am I lagging ….don’t know…..please give me your valuable suggestion to make a decent attempt in lex test which they would contact after a week of joining….. It is not very difficult as you think. Lex materials are very easy. Infosys will take a fast-track exam. So, you have to focus on Python concepts including (List, Dictionary, Opps Concepts) and RDBMS concepts. It will be very beneficial for you. Wowwwwww!!!!!!!!!!. Ravi Handsome , Cute Fab..